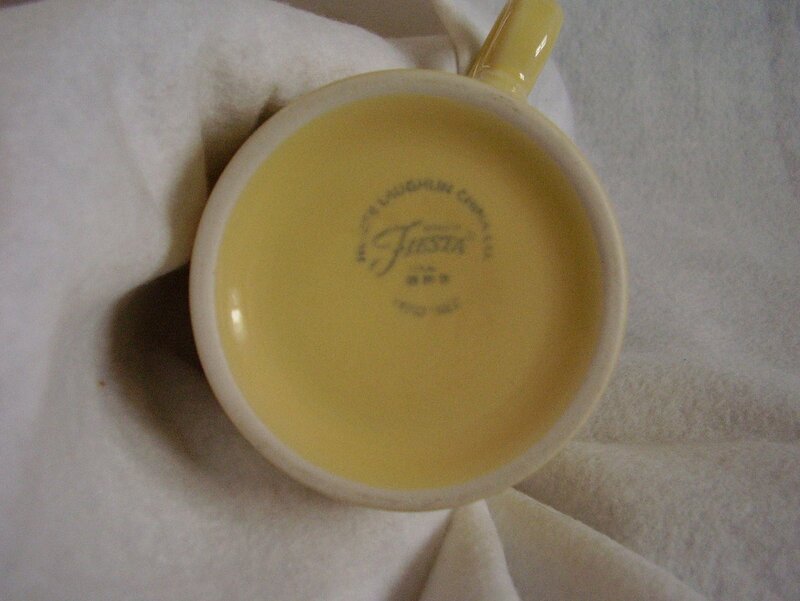 A contemporary Fiestaware Light Yellow T & J Mug. The color was introduced in 1987 and was discontinued in 2002. Not to be confused with Sunflower, this is the pale baby yellow. 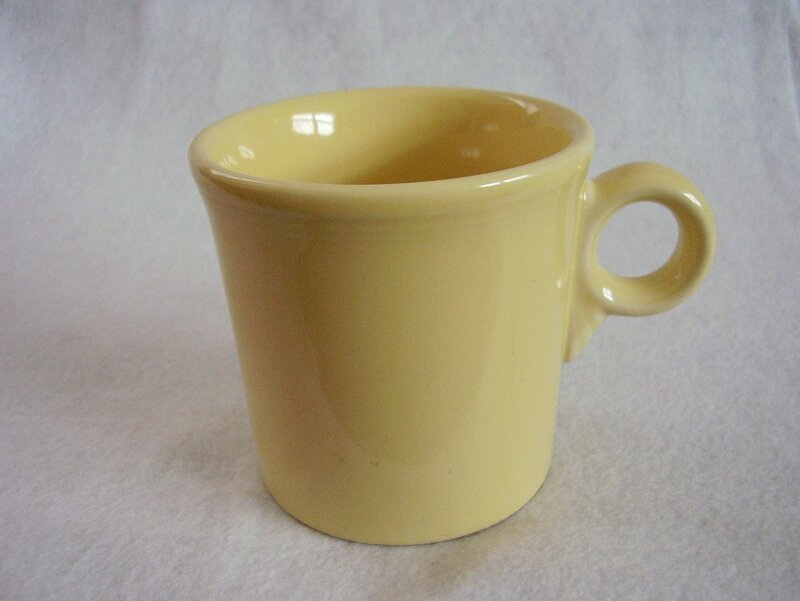 A contemporary Fiestaware Light Yellow T & J Mug. The color was introduced in 1987 and was discontinued in 2002. Not to be confused with Sunflower, this is the pale baby yellow. It appears as new and never used. There are no cracks, chips, fleabites or scratches. It measures 3 1/2 inches and holds 10 1/4 oz.